Further UPDATE November 21, 2017. Since neither my Grand Prize Winner nor the 2nd place winner ever got in touch with me, despite my best efforts to publicize the names, I have now picked another winner via random number generator – Jess Schira is the Grand Prize Winner. I’m withdrawing the 2nd place prize since it was not originally offered – I added it on as an extra after the contest ended. The 3rd place winner claimed her prize and it has been sent. 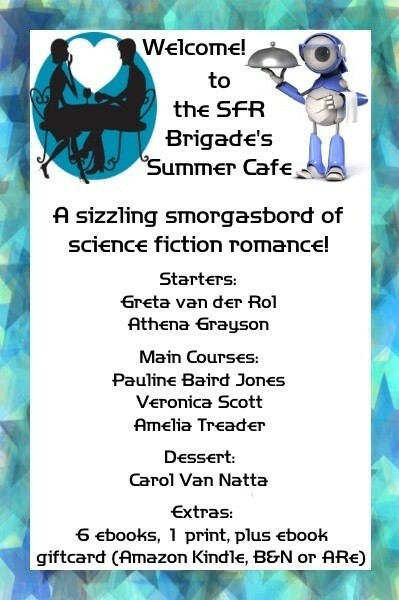 I decided to give a 2nd and 3rd prize which will both consist of a copy of the EMBRACE THE ROMANCE PETS IN SPACE 2 book signed by me, a Zazzle tote bag, a Valkyr sticker and one of my silly toy robots. (So there’s no copy of Star Trek Cats – sorry.) The 2nd and 3rd place winners were Jodi Hunter and Mary Kirkland. I’ll need your actual mailing addresses to send the items – thanks! You can contact me via this blog (or on twitter or Facebook). I loved all the comments received – thanks for stopping by and sharing your thoughts! This is the final week during which we are donating 10% of the profits from our pets in space anthology to Hero Dogs, Inc. So if you haven’t gotten your copy yet, still a few days to have us donate part of the purchase price! … and a tote from Zazzle for you to carry it in, plus a sticker of Valkyr and Lolly, my pets from the story Star Cruise: Songbird! To enter, leave me a comment with what your favorite pet in science fiction or any other genre is…I’ll pick the winner randomly on Sunday November 12 at 6PM Pacific Time and announce the winner here, on my Facebook author page and by tweet. I WILL ship this internationally if the winner doesn’t live in the USA. Here’s the link back to the main page, where the Grand Prize Rafflecopter is located. This blog hop runs July 11th through the 15th. The Grand Prize can only be won via entries at the main page Rafflecopter. Links to the other participants’ blogs will be found there as well. 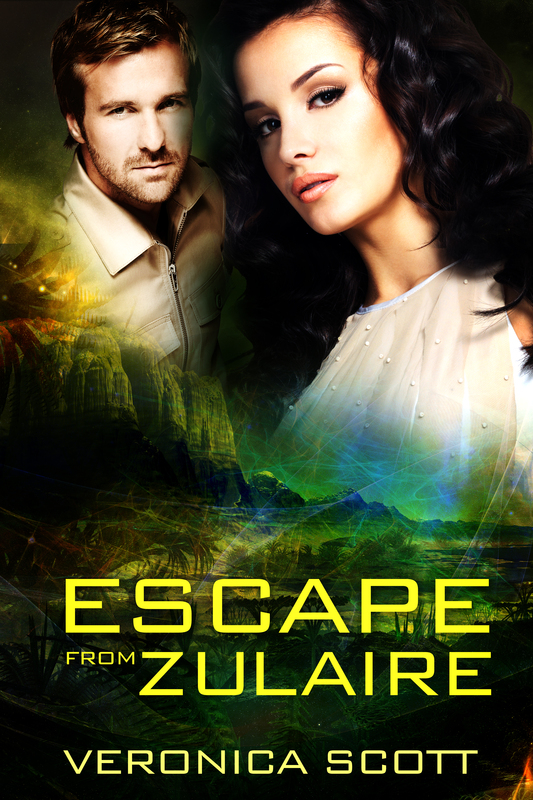 On my blog I’m giving away three $10.00 Amazon gift cards (no substitutions) as well as three free ebooks of my latest scifi romance Hostage To The Stars, in the format of your choice (epub or mobi) AND three free Audible downloads of the scifi romance audiobook Mission to Mahjundar. That’s 9 separate prizes, to be awarded to commenters on this blog, via random selection. It is possible for one person to be randomly selected to win more than one of each type of prize. I’m going to pick a somewhat unusual planet and specify Altair 4, as seen in the movie “Forbidden Planet,” which was released to theaters 50 years go (as of this past March). 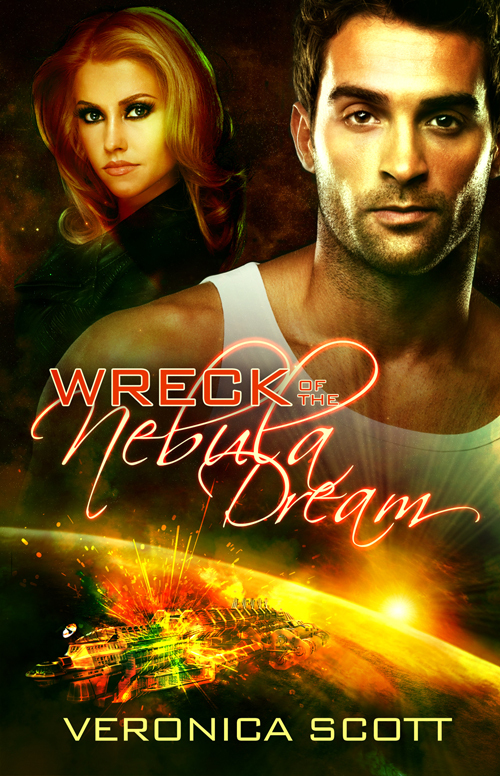 It was the first science fiction movie I ever saw as a child (on the TV late show in black and white) and absolutely fired my imagination as to what was possible – space travel, robots, ancient aliens, invisible monsters, high tech, heroic (and handsome) space captains and romance…oh yes, I was HOOKED. I discovered Andre Norton’s books around the same time and the scifi movie and the scifi books reinforced each other for me, as far as what genre I was most interested in. 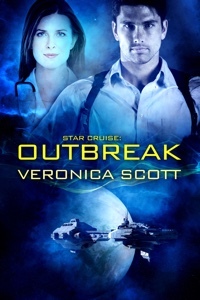 Here was the plot synopsis, from the Internet Movie Database: A starship crew goes to investigate the silence of a planet’s colony only to find two survivors and a deadly secret that one of them has. What was the first science fiction movie that fired your imagination? Leave a comment and be entered to win this blog’s prizes. The Giveaway is now OVER. My two randomly selected winners were Shirley A and Melanienu (need your e mail address please!). Best wishes to all for a Happy May and thanks for stopping by and commenting here. Welcome to the April Fools For Love event! 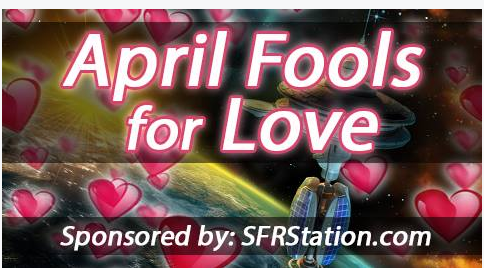 Here’s the link to the Main Page where you can enter to win the Event Prizes via Rafflecopter: http://www.sfrstation.com/april-fools-for-love-event/ You’ll also find links to all the other participating authors on the main page. Giveaway runs from April 1 through April 30th, so I’ll pick my two winners for MY blog on May 1st and announce the names. “I’m sure the wooden staff with the carved Windhunter bird totem we took from the tomb was burning in the fire pit last night,” Mike said. “We have to accomplish our own mission objective,” Johnny reminded him. “Only way to have what we want is to bring them what they want. 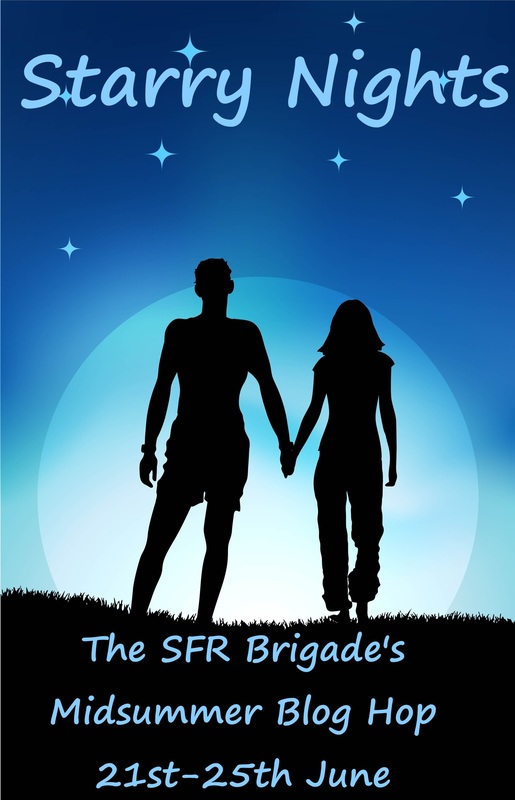 Command made the parameters clear enough when they reassigned us to active duty.” He spat. 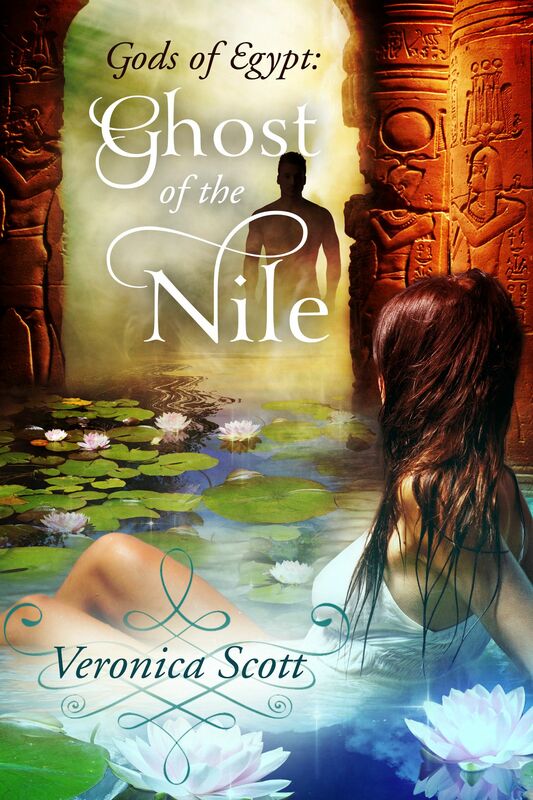 Angels & Demons Blog Hop + Giveaway! Over 100 Authors Participating! ONE Grand Prize Winner gets a Kindle Touch & ONE winner gets a $60 Amazon or Barnes&Noble Gift Card. The organizers of Angels & Demons Blog Hop will be choosing the overall winner from the comments on ALL the blogs involved. Meaning the readers can comment on each blog (all 103) and be entered 103 times. The organizers would appreciate your including your e mail address when you comment (won’t be published of course). Since I have a day job, please don’t worry if your comment doesn’t appear right away – I’ll moderate comments in the evening! So, do you believe in angels? In demons? Do you have a favorite angel or demon character from a recently read novel? I believe in Angels myself, based on some personal experiences. I suppose that means I believe in demons too, by default, but I’d rather think about the positive. 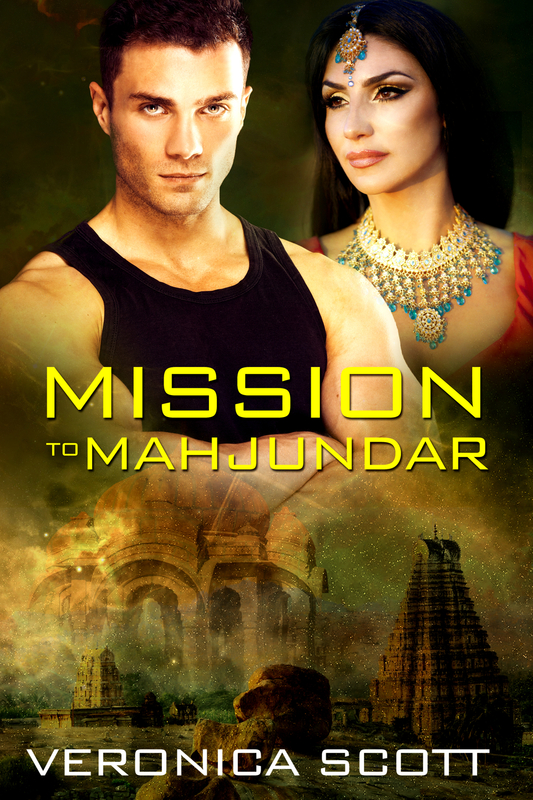 In fiction, my favorite Angels are to be found in Nalini Singh’s Guildhunter series….